Jihadist group which seized territory in Iraq and Syria declares itself an Islamic caliphate, calls others to pledge allegiance. 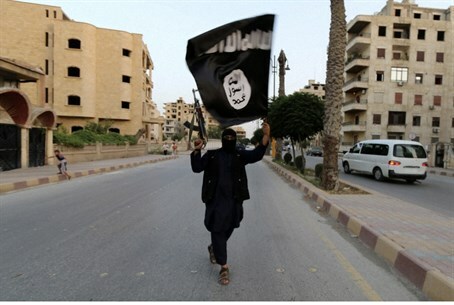 The Islamic State of Iraq and the Levant (ISIS), the jihadist group which has seized territory in Iraq and Syria, on Sunday declared itself an Islamic "caliphate" and called on factions worldwide to pledge their allegiance, Reuters reported, citing a statement posted on Islamist websites and Twitter. According to the report, the group has shortened its name to "Islamic State" and proclaimed its leader Abu Bakr al-Baghdadi as "Caliph" - the head of the state. "Accordingly, the 'Iraq and Sham' (Levant) in the name of the Islamic State is henceforth removed from all official deliberations and communications, and the official name is the Islamic State from the date of this declaration," he said, according to Reuters. The Sunni Muslim group follows Al-Qaeda's hard-line ideology, but is not affiliated with Al-Qaeda which has renounced ISIS. It seeks to re-create a medieval-style caliphate erasing borders from the Mediterranean to the Gulf. It deems Shiiite Muslims to be heretics deserving death. "It is incumbent upon all Muslims to pledge allegiance to (him) and support him...The legality of all emirates, groups, states, and organizations, becomes null by the expansion of the khalifah’s authority and arrival of its troops to their areas," the statement quoted by Reuters said. Jordan on Friday deployed massive army forces on its Iraqi border, including tanks, army vehicles, missile launchers and soldiers, fearing an ISIS move into the Hashemite Kingdom.